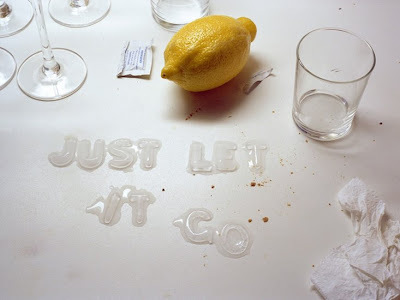 Kotama Bouabane's series of photographs made from frozen letters is really (n)ice. You should have proposed like that. It's kinda cute. How have I not seen this post until now?!?! I just checked out the series - the shots are great. Love the ice letters. I also happened to like the chalkboard series.